4 [healthy] Snack Ideas – Olive For Greens. I always say snack time is my favorite time, and it’s so true! I prefer snacking on things because I am constantly doing something- juggling 2 job, fitness and a social life- so I’d rather have smaller meals rather than 1 or 2 larger ones. Plus, I hear it’s healthier to have smaller meals! 3 out of the 4 snacks below are rice cakes. You might be thinking “Ew!” But With the toppings I added they are delicious. Plus, I love crunchy snacks. I typically have these as an afternoon boost, kind of a pre-dinner snack. 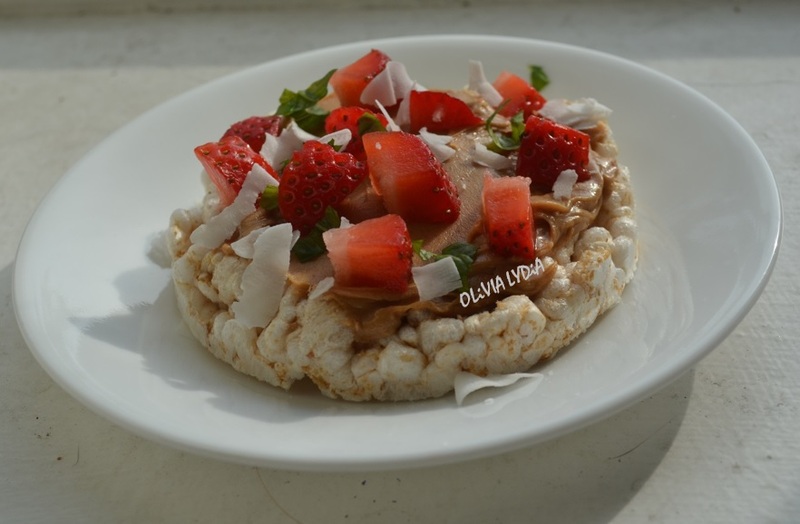 I used plain brown rice cakes. Careful with the sugar and sodium in the flavored ones. Hope you enjoy! All are vegan & gluten-free. 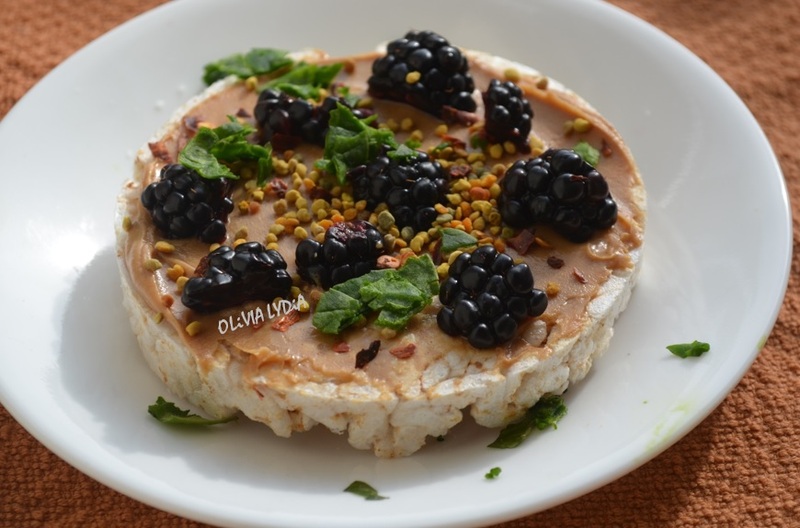 Spread the peanut butter on the rice cake then add the toppings and enjoy! 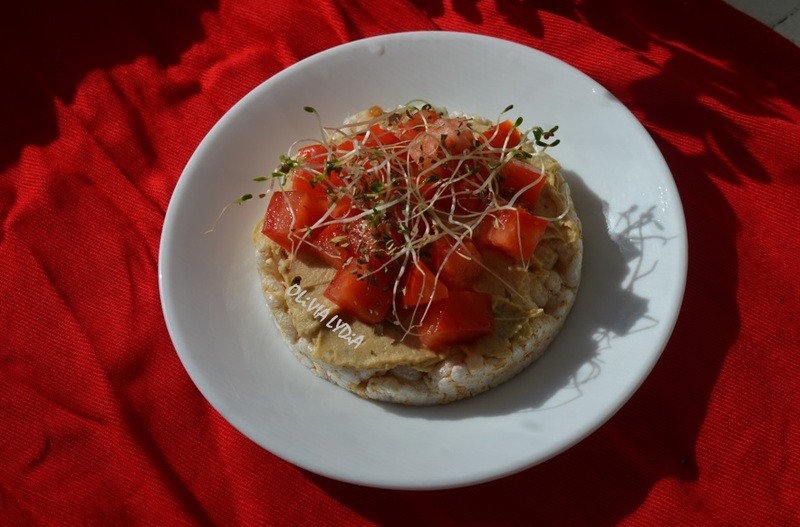 Spread the hummus on the rice cake then the tomato, spices and sprouts. 1. 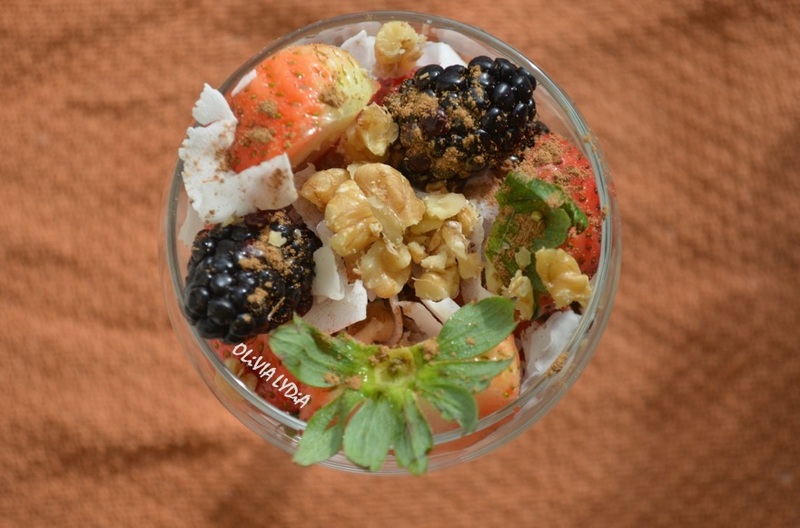 Mix the ingredients in a small bowl and enjoy! 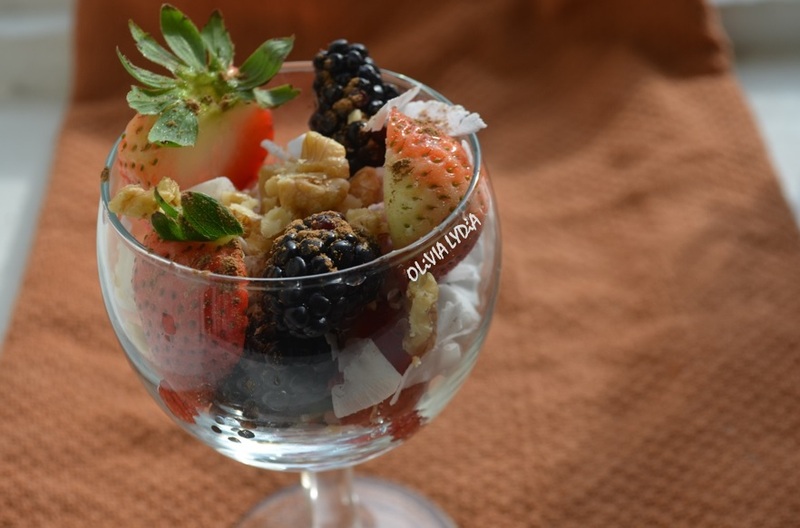 Note: You can use your own measurements- so, if you want 10 strawberries instead of 5, go for it!